Kimberly Emperador has a colorful background where her accumulative experience has proven valuable in her career in Real Estate and Property Management. She’s dived into residential Door to Door Sales, Business to Business Sales, Business Management, Massage Therapy, Home Warranties, Property Management, and Real Estate. Previously working for companies such as, Old Republic Home Warranties, Essex Property Trust, Better Business Bureau and Better Homes and Garden. 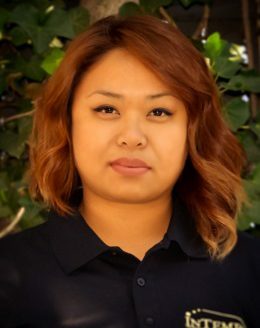 She has managed over 10 multifamily properties throughout Northern California from 80 to 700 units and has experience in many kinds of situations and transactions such as overseeing large redevelopment projects, management restructuring and auditing, to maintenance and tenant mediation. Her professionalism stands out from the rest and her way of making difficult situations look seamless will help with saving time and worry. Kim loves to bring motivation and organization to the table. She also believes communication, transparency and time management are also key to building solid foundations. Aside from her career driven life, she loves to create and build things, she loves her mom to infinity and beyond, enjoys her sweet moments with her animals, travels when she can, and lives life every minute of every day, even if she’s working.